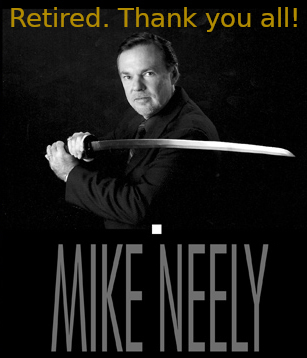 Mike Neely is operationally involved in several corporations and has seamlessly blended three careers into one lifetime. 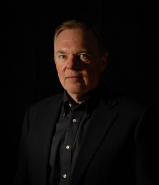 Owning a national marketing firm, Mike has developed national markets for over thirty products in twenty-seven industries. He currently manages products in most major merchants and catalog houses. Having a life long interest in the martial arts, Mike is an instructor in the Filipino martial art of Arnis and carries national credentials as a defensive tactics trainer for law enforcement agencies and other groups. As Special Projects Director for PPCT Systems, Mike was tasked with communicating with the major airlines after 9/11 and successfully negotiated a comprehensive training program for Delta Airlines in early 2002. His speaking career spans 15 years, presenting to hundreds of business groups and conventions. Audiences from Las Vegas to Aruba, in fields as diverse as veterinary medicine and swimming pool retailing, have found value in Mike Neely's unique fusion of expertise. A signifigant reference list is available upon request.